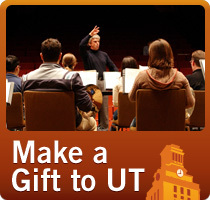 Directed by Professor Jeff Hellmer, the University of Texas Jazz Orchestra is the Butler School of Music’s premiere jazz ensemble. 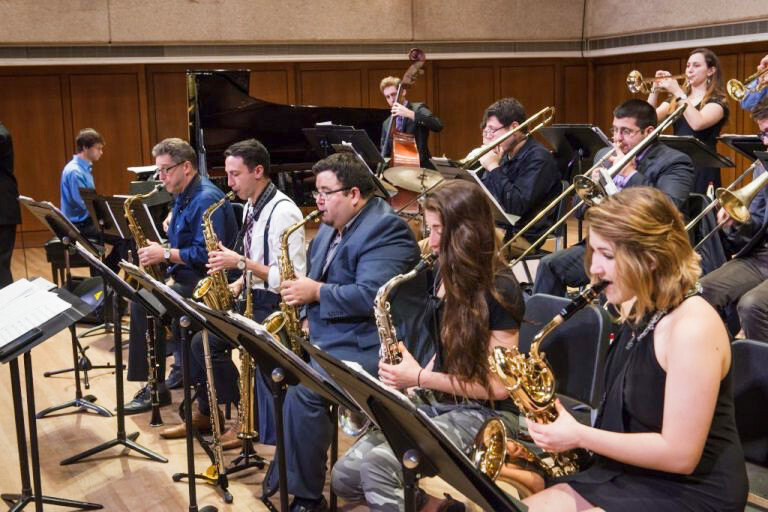 As part of the annual Longhorn Jazz Festival, the Jazz Orchestra has performed with such luminaries as Michael Brecker, Stefon Harris, Chris Potter, John Clayton, and Conrad Herwig, and Maria Schneider in recent years. The group toured Europe in Summer 2017, performing at the Montreux and North Sea Jazz Festivals, and further travel is in the works. The ensemble’s repertoire emphasizes compositions of its members. Jazz Times magazine described the writing as “stunning” on the ensemble’s latest recording, “In The Thick Of It,” available on iTunes. Audio samples from that recording can be found on the “audio gallery” site under the “media gallery” heading on the Jazz Studies home page.